Our evidence-based analysis on creatine features 37 unique references to scientific papers. You either love alcohol or hate it … depending on the circumstances. You love it when it warms you up and washes out your worries, but a few drinks too many and you wake up the next morning groggy and nauseated, with a pounding headache. At that time, you might even mutter something about never drinking again. Welcome to the hangover, the undesirable period between trying to get out of bed without hating life and once again being a normal, contributing member of society. Hangovers “happen” because of alcohol and its effects on the brain. However, we don’t really know how they happen. There are three main types of alcohol: methyl, isopropyl, and ethyl. Only the latter (ethyl alcohol, or ethanol) is fit for human consumption. But even ethanol is toxic — it produces substantial oxidative stress and provokes an inflammatory response that damages and dysregulates neurons. Moreover, your body metabolizes ethanol to acetaldehyde, which is even more toxic than ethanol. Eventually, your body metabolizes acetaldehyde to acetate, which is less harmful but may still contribute to hangovers. Tough break. Ethanol, acetaldehyde, acetate: the degree to which any of those molecules is responsible for hangovers is unclear, but hangover headaches and other symptoms are likely caused in part by the damage from inflammation and oxidative stress suffered by the brain and other tissues. Congeners may be another hangover factor. Like alcohol, congeners are chemicals produced during fermentation, and they contribute greatly to the taste and aroma of most alcoholic beverages. 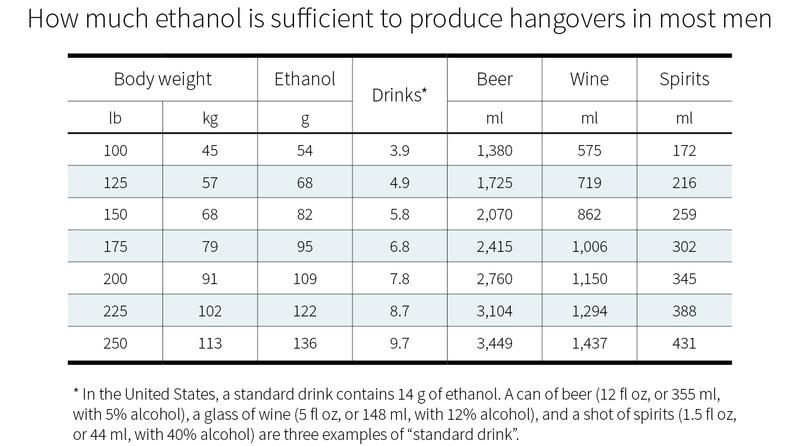 Some are toxic, however, which may explain why different beverages with the same amount of ethanol seem to have different hangover severities. But why do hangovers only occur when blood alcohol concentration returns to (close to) zero? Again, we’re not quite sure. There are several plausible explanations, which are not mutually exclusive. One such explanation is that alcohol, being an analgesic, masks the damage it causes. Another is that alcohol needs time to work its damage. Yet another is that alcohol causes dehydration, which we know can cause headaches, fatigue, and cognitive impairment. Most of us are familiar with the post-alcohol feeling of dehydration and know we should drink more water. Another partial explanation for hangovers is that alcohol throws the body out of homeostasis. Alcohol hangover is associated with many hormonal and metabolic changes that, while not well studied for causality, are plausible causes of fatigue and cognitive impairment. Among the hormones affected by alcohol are insulin, cortisol, testosterone, aldosterone, and growth hormone. Among the neurotransmitters affected by alcohol are epinephrine (adrenaline) and norepinephrine (noradrenaline). Alcohol can also cause hypoglycemia. Let’s mention one last partial explanation for hangovers: disturbed sleep. Research suggests that, although alcohol can induce sleepiness, once it’s gone from your body you can find yourself more wakeful than usual, which can lead to worse sleep quality. And of course, alcohol or not, late-night partying disrupts sleep patterns, launching a cascade of harmful effects. We’re not exactly sure how alcohol gives us hangovers, but it’s likely a combination of toxicity, dehydration, poor sleep, and our body’s striving to get back to where it was before all the alcohol. How can you prevent hangovers? The research around hangover prevention and mitigation, via some foods or dietary supplements, has produced a diverse array of potentially useful products (which are proposed to function by facilitating ethanol metabolism, preventing oxidative stress, and/or controlling inflammation). Unfortunately, study replication is practically non-existent, and the evidence tends to be of poor quality, so we’re left without clear options. In other words, the surest (and least fun) way to ward off hangovers is to avoid drinking alcohol — or, if you do drink, to do so in moderation. 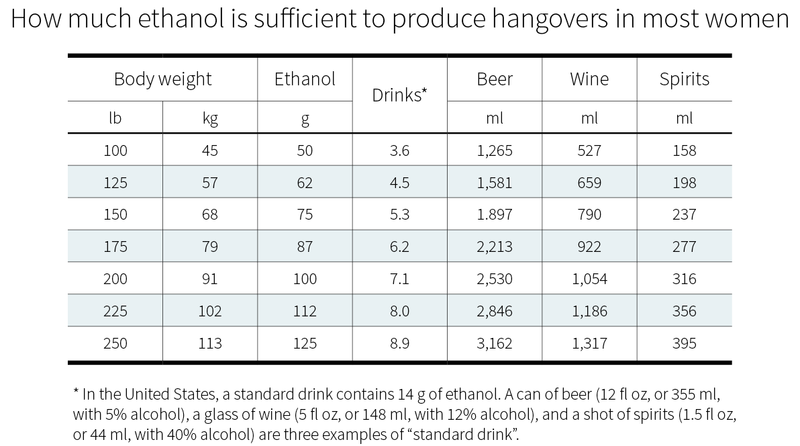 With regard to hangover prevention, moderation isn’t well defined or studied, but a little more than 1 g of ethanol per kilogram of body weight (1.1 g for women, 1.2 g for men) is sufficient to produce hangovers in a majority of people. There’s a notable caveat to this principle, though: peak blood alcohol concentration (and thus the rate of alcohol uptake into the brain) depends on your body weight, but what matters most is your water weight. Body fat holds a lot less water than muscle tissues and thus won’t be as good a buffer (which is one of the reasons why less ethanol is needed to give hangovers to women: as a rule, pound for pound, women carry more fat than men). If you’re overweight, calculate your “hangover threshold” based on a healthy BMI for a person your height. Those amounts are based on consumption over the course of 75–90 minutes (between one hour fifteen minutes and one hour thirty minutes). Drinking slower may allow for more wiggle room, but considering that those amounts reliably produce hangovers in a majority of people, not exceeding them seems wise. Avoiding spirits in favor of more diluted beverages may help reduce both the amount and the speed of drinking. Avoiding whiskeys in particular, because of their high congener content, might make a difference. Finally, food in general can help, since consuming alcohol on a full stomach will slow the absorption of alcohol and reduce the peak concentration attained. Those were probably not the secret tips you were hoping to hear. Unfortunately, other than drinking less and slower, preferably on a full stomach, there are no proven ways of preventing hangovers. What can you take to prevent hangovers? 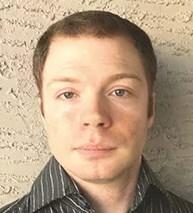 No foods or supplements are proven to prevent hangovers (you cannot put too much trust in studies that haven’t been replicated), yet the Internet is full of supposed prophylactics, some of them implausible, others plausible but lacking strong evidence. 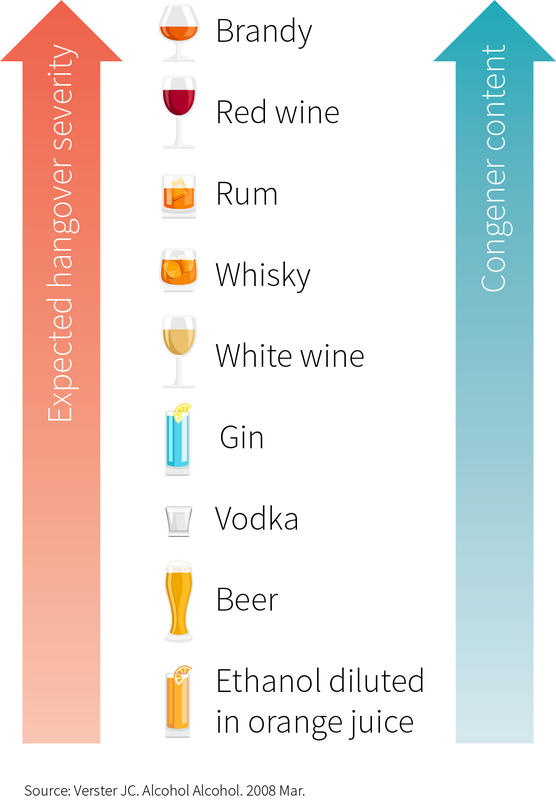 Analyzing the limited research we do have can help us judge which supplements and foods may help prevent hangovers. The plant world is rich in chemicals that can affect your body. Some of these phytochemicals affect inflammatory signaling, some increase your antioxidant production, and some have been shown to enhance the function of ethanol-metabolizing enzymes in the liver; in those ways, they may reduce the damage done to the brain by ethanol and acetaldehyde. Sounds good, but the question is, how much does this help in practice? A crossover study with 14 participants reported that, taken before drinking, Korean-pear juice significantly reduced ethanol concentrations in the blood (samples were taken at baseline and up to 15 hours after drinking) as well as concentration problems. This study found no significant differences between groups for any of the other symptoms it monitored, but the mean and sum of all symptoms was significantly lower for the juice group. Interestingly, genetics appeared to matter: variations in genes associated with aldehyde dehydrogenase (a type of enzyme that helps convert acetaldehyde to acetic acid) significantly affected the ability of Korean-pear juice to mitigate hangover symptoms. A later trial also used pear juice (maybe Korean-pear juice, but it isn’t clear). A crossover study with 15 participants recently reported that, taken before drinking, a juice mixing pear, green grape, and Angelica keiskei (a vegetable native to Japan, where it is known as ashibata) significantly reduced headaches, thirst, and the area under the curve (AUC) of plasma ethanol. A crossover study with 55 participants reported that, taken before drinking, an extract of Opuntia ficus indica (a cactus also known as prickly pear) significantly reduced dry mouth, nausea, and lack of appetite. More recently, a crossover study with 26 participants reported that, taken before drinking, an extract of Hovenia dulcis (Japanese raisin tree) significantly reduced nausea, dizziness, weakness, headaches, and overall symptoms from hangovers. Both studies suggested a reduction in inflammatory signaling as a likely reason for the reduction in symptoms. Various forms of ginseng might have some efficacy. A crossover study with 26 participants reported that, taken while drinking, an extract of red ginseng (Panax ginseng) later reduced the sum of 15 symptom scores, compared with placebo, notably the scores for thirst, fatigue, concentration, and dizziness, though none of these symptoms were particularly severe to begin with. Red ginseng may have anti-inflammatory properties, which may help explain some of the symptom decreases. In addition, the ginseng group saw almost-significant reductions in their blood levels of ethanol and almost-significant increases in their blood levels of acetaldehyde. This dual effect suggests that red ginseng increases the activity of ethanol dehydrogenase (a type of enzyme that helps convert ethanol to acetaldehyde) but may not increase the activity of aldehyde dehydrogenase (a type of enzyme that helps convert acetaldehyde to acetic acid), or at least not as much. Acanthopanax senticosus is often called “Siberian ginseng” (despite not being of the same family, or even the same genus, as Panax ginseng). A crossover study with 28 participants reported that, consumed before and after drinking, an extract of Siberian ginseng reduced the severity of nausea, dizziness, headaches, and stomach aches. It didn’t, however, have a significant effect on ethanol-metabolizing enzymes. None of those six studies was ever replicated, and all suffered from limitations. One limitation they shared is that, for ethical reasons, the amount of alcohol they administered was enough to induce only mild hangovers — so it’s unclear what the effects on stronger hangovers would be. Another problem is that the researchers didn’t often make it clear how they derived their sample sizes. Among those six studies, different symptoms were decreased and different symptoms weren’t. This admittedly limited evidence suggests that there are no global prophylactics for hangovers, or even prophylactics that might work for a majority of possible symptoms. Yet a quick Internet search will reveal an appreciable number of such miraculous prophylactics — some ridiculous, others with at least some biological plausibility. The latter encompass two kinds of ingredients: anti-inflammatories (such as ginger, curcumin, and borage oil) and glutathione upregulators (such as n-acetylcysteine and milk thistle’s silymarin). Glutathione is your body’s main endogenous antioxidant. In a rodent study, increased levels of glutathione have been shown to protect against alcohol-induced oxidative stress. Others ingredients in anti-hangover products are more speculative. Magnesium is sometimes included because, in other circumstances, it has been shown to attenuate headaches. B1 and B6 are sometimes included because people who abuse alcohol tend to be deficient in those vitamins. Vitamin C is sometimes included merely for its antioxidant effects. It all seems sensible, but the truth is that ingredients that have effects in some situations often do not have the same effect in other situations. For instance, magnesium supplementation can cure headaches caused by a magnesium deficiency, but that does not mean it will have any effect on hangover headaches. Similarly, alcohol hangover is distinct from long-term alcohol abuse, and just because glutathione seems to protect against alcohol-induced oxidative stress, it does not follow that all antioxidants will have the same effect. Red ginseng, Siberian ginseng, Japanese raisin tree, prickly pear (a cactus), Korean pear, and a mix of pear, green grape, and ashibata: only six hangover prophylactics are backed by well-designed human studies, and none is backed by more than one. Other prophylactics only have, at best, some biological plausibility. How can you alleviate hangovers? The sole way to prevent a hangover is, as we saw, to drink only in moderation. Failing this, you can reduce the severity of upcoming hangovers by paying attention to hydration and sleep. During a typical night of alcohol-driven debauchery, you could get far less sleep than you normally would and even forget to drink water. Dehydration, as we saw, comes with its own hangover-like symptoms, so while staying hydrated throughout the night will not necessarily save you from a hangover the next day, it can lessen the pain. Similarly, the symptoms of sleep deprivation combine with those of alcohol abuse, so make sure to get enough quality sleep. If you fail to go to bed at a reasonable hour, then you should at least spend most of the next day resting. What can you take to alleviate hangovers? Get enough water. Get enough sleep. All right. But isn’t there something special you can take to tame hangovers — some kind of magic pill or decoction? What about coffee, for instance? Doesn’t that help fight down hangovers? If you have a throbbing headache, nonsteroidal anti-inflammatory drugs (NSAIDs) may help. In one crossover trial, tolfenamic acid reduced hangover headaches; other NSAIDs might perform similarly. NSAIDs are COX-inhibitors, so natural COX-inhibitors (such as ginger and curcumin) might also reduce hangover headaches, but there’s no evidence that they do. Finally, it may be tempting to use the “hair of the dog” method — drinking more alcohol to tame a hangover. As we saw earlier, alcohol’s analgesic properties could help explain why hangovers set in only after alcohol has mostly left your system. Might not those same properties attenuate an existing hangover? Apparently, they do — to some extent, and at a price. Surveyed drinkers report that alcohol does provide some relief from hangovers, but it likely prolongs them, too. Moreover, the “hair of the dog” method is correlated with more drinking days. Does it mean that this method makes people into heavy drinkers, or that heavy drinkers are more likely to use this method? We’re not sure, but we do know that alcohol is addictive: drinking more makes you want to drink even more, and frequent heavy drinking often leads to dependence. There’s no miracle cure for hangovers, but staying hydrated and getting enough sleep will at least attenuate the symptoms. NSAIDs can reduce the headache, and minor stimulants (such as caffeine) can offset the brain fog and lethargy, but only to some extent, and the root problem will persist. Finally, the “hair of the dog” method can provide some relief, but it will likely make your hangover last longer, and it may lead you to heavier drinking. People have experimented with hangover cures and prophylactics since alcohol was discovered, but as far as we know, with very limited success. To prevent hangovers, drink only in moderation, preferably on a full stomach. To alleviate an upcoming hangover, staying hydrated and getting enough sleep should be your priorities, but you could also try one of the six prophylactics backed by well-designed human studies (although there’s only one study per prophylactic). Once you have a hangover, there’s no magic pill, but NSAIDs can reduce headaches, and minor stimulants (such as caffeine) can offset brain fog and lethargy.